It is said that , A mother is a teacher at home & a teacher is a mother at school. So at S.T.N.M.S. we have Mother Teacher and assistant teacher concept for std. 1 & 2. It means in one class there are two teachers one Mother teacher and one Assistant teacher.Mother teacher teaches all subjects in the class. The role of teacher in students life is very crucial. Students of std. 1 & 2 belongs to age group 6 to 8. This concept helps to uplift the Holistic development of the student. These tiny kids need extra care, love affection and personal attention and a mother teacher only can mould them with love & discipline. She can give a confidence that he/she can achieve anything in his life,because for a child teacher is everything. 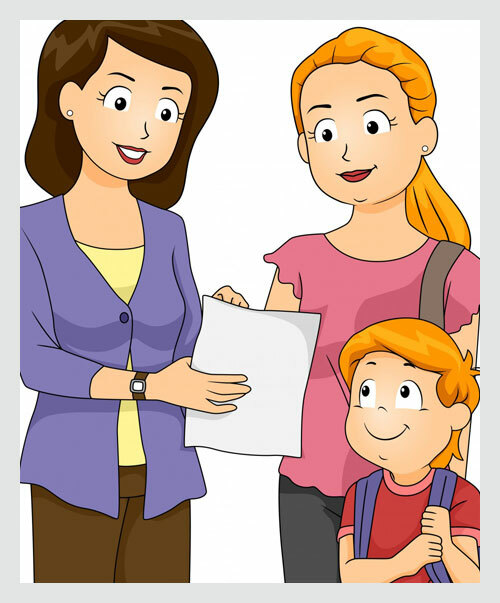 Mother teacher concept helps in understanding the child and developing emotional bond between the teacher & learner. As the student and teacher spend more time with each other. It helps a teacher to understand the strength & weakness of a student. So she can focus more on the concern areas of development of a student & helps for the overall development of a school. When mother teacher remains busy at the Dias, assistant teacher takes a round in the class and help the child in Reading- Learning process. Assistant teacher accompanies the class all the time , so she/he is also very much close to the students. In case when mother teacher fails to attend the school, assistant teacher takes care of the students and their studies without disturbing their E.Q. Thus through this concept the child is nurtured in a healthy environment.